The physical appearance of Epipactis phyllanthes is confusing and inconsistent resulting in some authorities separating plants into varieties based on their geographic locations, although to the casual observer the differences between the plants would be difficult to identify with confidence. Epipactis phyllanthes var. cambrensis is one such example. 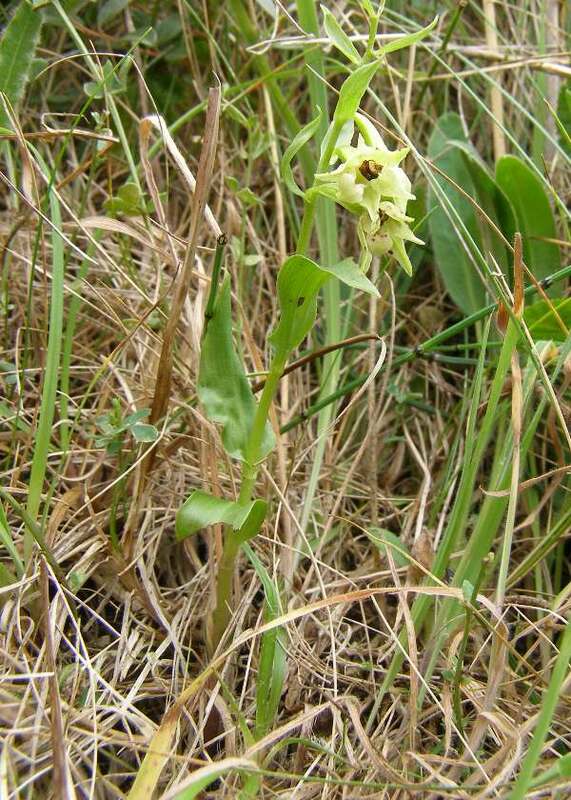 It grows in the sand dune systems of South Wales, particularly in Kenfig National Nature Reserve where Epipactis phyllanthes var. vectensis is also thought to occur. The plants can grow to a maximum of 40cm, but they are often smaller. Up to 40 flowers are carried on a somewhat drooping infloresence, and they are a rather unappealing yellowish-green colour. When found in woodland this orchid can be frustrating to photograph as the flowers seldom open fully. Specimens found in the more open environment of sand dunes are more likely to open, exposing the shallow hypochile. Epipactis phyllanthes var. cambrensis is found in the dune systems of South Wales. The plant is found in sand dunes and shady woodlands on chalky soil, and can often grow in quite dense vegetation making it very difficult to spot. 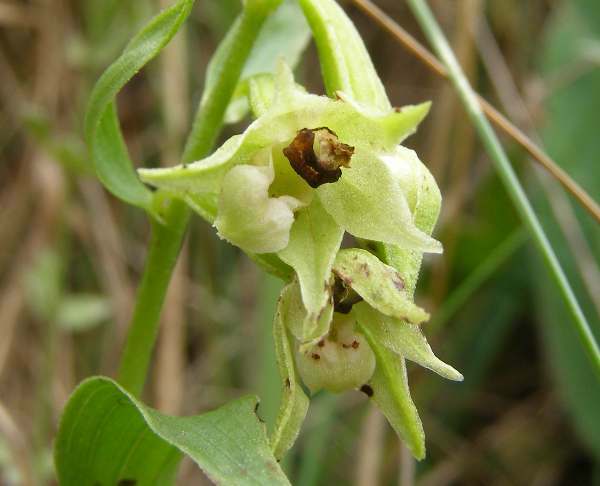 Although cross-pollination is possible with newly-opened flowers, Epipactis phyllanthes is thought to be cleistogamous - fertilisation occurs in the bud. The plants on this page were photographed at Kenfig National Nature Reserve in Wales in the UK at the end of July. The flowers persist until well into August, and Kenfig has plants in woodland and sand dune habitats in remote parts of the reserve.